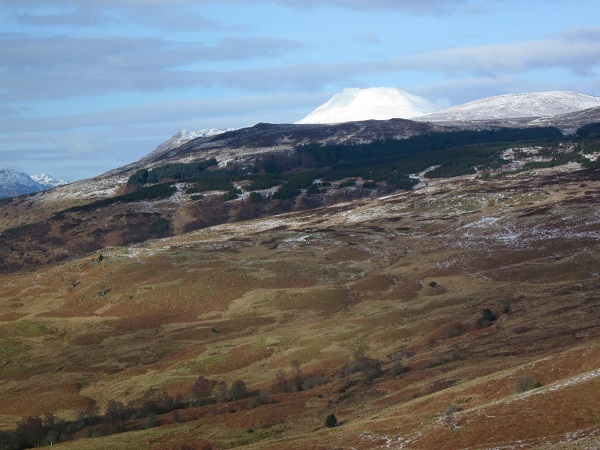 Walking the West Highland Way from end to end isn’t really for me, although I can certainly see the attraction and see why so many people each year set out to complete the full route…….it really does go through some amazing scenery. We tend to walk short sections of the path, often on the way to or back from one of the many hills and mountains that rise on either side of it. 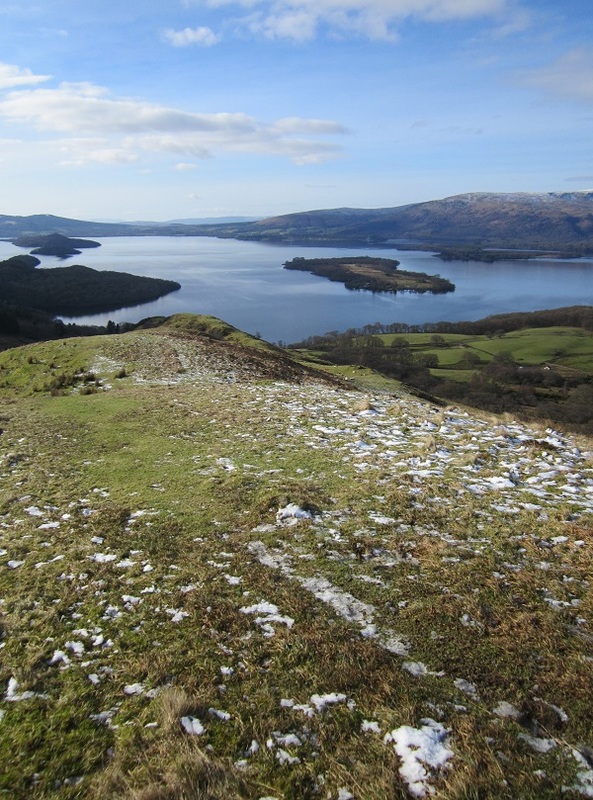 If you read my blog a few weeks ago, you know that I am hoping to put together images of 12 paintings that are based on or around the West Highland Way and last Monday, wanting just a short little walk, we decided to have a wander up the small steep Connich (Conic) Hill that rises above the southern shores of Loch Lomond. It’s a magnificent little hill giving fine views across the loch and north to Ben Lomond and the Arrochar Alps and as such I thought it might be a perfect place for the first painting in my West Highland Way collection. I’ve walked this hill on a couple of previous occasions, but never worked on any paintings after these trips. 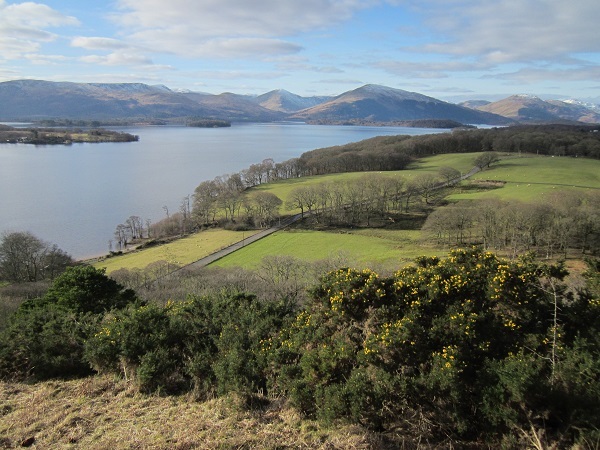 So then, on Monday last, Nita and I travelled up to Loch Lomond with the aim of walking this wee hill, taking a few photos, doing some sketching and maybe making a couple of sound recordings. Well, that was the plan anyway! 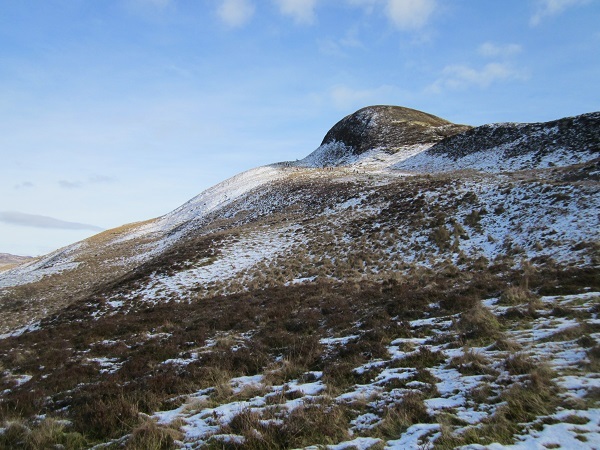 What we hadn’t taken into account however was the fact that it was the school half term and when we arrived at the base of the hill, there were a lot of families who had had the same idea …to walk this wee hill and enjoy the spectacular scenery under almost clear blue skies. We normally tend to wander off of the main paths and visit the places less popular with other walkers, and so the volumes of people making their way up the West Highland Way footpath to the top of Connich Hill, were somewhat over-whelming! By the time we had reached a point about three quarters of the way up, both Nita and I were gritting our teeth and we stopped to sit down and look at the views ….with our backs to the crowds! It was just so noisy ….which was fine as it was great that so many people were enjoying themselves ….but it wasn’t for us. To make matters worse for us two grumpy old folk, a couple of local farmers were rounding up sheep using one of those four wheeled vehicles, ….and shouting a lot. Then just as I thought things couldn’t get any noisier on a hill, one of those powered flying triangles came over, swooping and gunning its engine! That was that, we decided not to bother going on to the top and after examining the map, noticed a footpath making its way back down to the road well away from the WHW. We took it and within ten minutes we were out of reach of the voices and had the hillside to ourselves. ….phew! It was beautiful and the short descent made for a very enjoyable last hour. Loch Lomond from our quiet descent route! I didn’t get any sketching done and certainly no sound recordings, but we did see some great views and colours and I may get something in the way of a painting out of our short day. In all honesty, I’m sure I used to be just as noisy when I was young and walking the hills with my dad ….now I’ve turned into him ….I’m one of those grumpy old men too! << Previous Post: A sound plan – my new Loch Lomond National Park drawing project …… and more?